Clear pictures and exceptional details, easy files, excellent at high ISO ..like the new D3/d3x. No problems for the 4Mb resolution. I print without any problem on A3 or large. Fantastic focus and speed! Very fast and accurate! I love this camera body and am glad that I purchased the D2hs instead of the D2x (which I almost purchased). I assessed what I wanted to do most with my photos, and realized that "large prints" was a nickle-and-dime market as far was we were concerned.. so it didn't make sense for us to add the D2x. The D2hs offers us speed, better colour than the D2x, and files that are excellent both in quality and size for selling video mixed with still photography. Add Nikon professional lenses and you're on your way to putting money in your wallet. 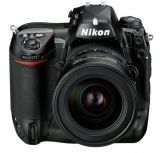 I find the Nikon D2hs to be the #1 camera for commercial Internet, and journalism work. The damn camera is rock solid and fast as a rocket and worth every penny! The size difference between its 4 megapix and 6 megapix of other cameras isn't worth computing as the difference is so slight. * if you're shooting to earn a buck, the price of the D2hs is well worth the initial outlay. Very fast in every respect, easy to use and great ergonomics/handling. In fact it's so easy and intuitive to use I never bothered to read the handbook. You can handle a D70? - then never worry about being able to handle a D2Hs. In many respects, its handling is even more ergonomic then that of a D70. Super fast continuous shooting, with a huge buffer - never worry about THIS buffer running full. A resolution of 4.1 MP may not sound like too much, but actually the image quality is very fine - almost on par with a 6MP DSLR. Actually, in my opinion, better in many situations then a D70 (e.g. less blooming with very bright light sources). Its weight of 1.2 kg may sound like a lot, but this camera feel surprisingly light in your hand - it's almost perfectly balanced. It's sure a bit pricy, but considering its features and performance, the price is more or less OK.